Oli holds a Bachelor of Arts in Psychology from The University of Queensland, Australia and a Bachelor’s degree in Psychology from Universitas Indonesia (dual-degree). Oli is a qualitative researcher for RISE (Research on Improving System of Education) Programme in Indonesia. Her interests lie in issues related with children, youth, family/parenting, education, gender, and the effects of technology advancements to young people. In her work with RISE, she develops research instruments, conducts data collection, data analysis and interpretation, among others. 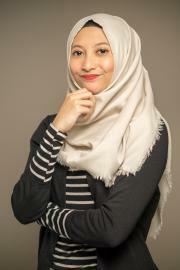 Prior to joining SMERU, she was a research assistant at the Parenting and Family Support Centre at The University of Queensland, focusing on three different projects; the examination of parents whose children have chronic illnesses, the parenting challenges of crime offenders, and the implementation of the adapted version of Triple P (The Positive Parenting Programme) in Indonesia.